In this one day design consult, I come to your home and we work together to conquer your design concerns. This can cover anything from paint selection, space planning, "shopping the house", or ideas for future purchases. It's really up to you! Pricing for one day design begins at $200. An e-design project begins with either an in-house consultation for local clients or the completion of an online questionnaire for non-local clients, during which we will discuss the current space - what's working, as well as what isn't. After which, clients will receive a written space planning evaluation, a custom mood board including suggested furniture, lighting, textiles and decor, as well as a private Pinterest board containing inspirational images and some shop-able links. Up to 3 changes are included. This package is ideal for self starters and those looking for a DIY approach. Pricing for these services begins at $500 per space. All full service decorating projects begin with an in-house consultation, where we will tour your existing space, discuss your likes and dislikes, and determine a working budget. After the initial consultation, clients will receive a written space planning evaluation, a custom mood board including suggested furniture, lighting, textiles and decor, as well as a private Pinterest board containing inspirational images and some shop-able links. Up to 3 changes are included. 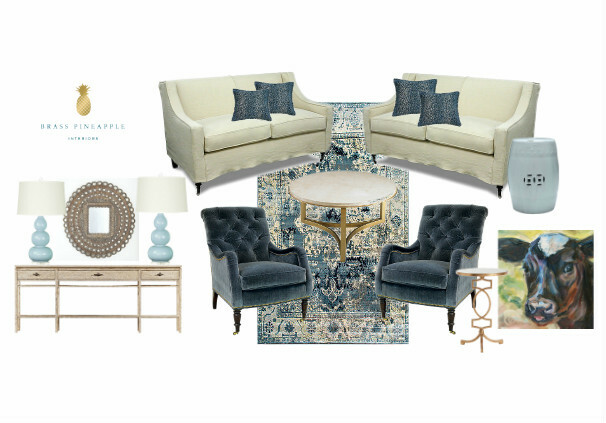 Once the design plan has been agreed upon, we will work together to coordinate purchases and gather all the accents to complete the space. A date will then be agreed upon for installation and reveal. Full service decorating projects will be billed at $75/hr. "I am a very satisfied client...I was thrilled with the choices and I really love your design esthetic. I think out of all the blogs out there I seem to enjoy looking at yours the most!!" "Your service was wonderful! You were professional, courteous, and very quick to respond. I was very pleased with the service."